looks like de-emph is already selected. so then i cut the trace from pin 11 and connected that to where the ceramic cap is connected to pin 10 and viola... gorgeous sound. you must do this mod, haha. above picture is for iir mod. cut the trace leading out of pin 11 first. I found a drivers that works with this board.They are for a Rega Saturn-R CD player. 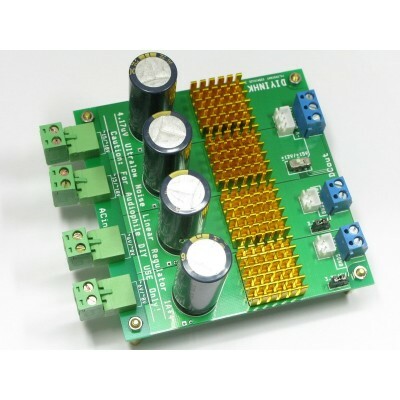 Does V1.4 from 2013/9/9 now work with 7-9V PSU or still with 5V? And an ebay aluminum box yet to be ordered based on what size all the boards come to when I connect it up. I think that should do it and with the option of installing a 2.5" external drive in the box I can have my entire collection, DAC & power supply in one little box. This box looks like a good option with IEC and power switch. You would need to modify the rear panel holes possible. First time poster here...Hi everyone! , great project!! hows it going?? good stable build?? How do you mount this kind of PCB in an enclosure, as it has no holes for stand offs? Hello, everybody, the ES9023-I2sdac used on raspberry good use. Just cut the old trace of Pin11 and wire Pin 11 to the left side of C49, am I correct? No need to pull out any Capacitor or Resistor right? and What is the purpose of this mod? I got mine today and tried it out. It was a big disappointment because it has pops and crackles at 96 kHz sometimes at 44k. I changed the USB cables but always the same. My other XMOS DAC (iBasso D7) had never any pops or crackles regardless which kind of files up to 192 kHz. So, any ideas how to fix it? Dust bin and better buying something with more quality?